Marvel’s Agents of SHIELD debates the finer points of time travel as the team try to figure out their next move. The reveal in the previous episode of the older version of Robin (Willow Hale) was no real surprise as she is the most natural fit for being the source of all the prophecy discussion over the past few episodes. Her predictions are responsible for the team being in this time period and the obvious thinking is that her predictions could be the key to getting back. A happy reunion…or is it? Of course it isn’t as simple as that because her predictions are almost impossible to interpret and come across as being largely gibberish at first. Something that frustrates everyone concerned though what is clear is that there is a meaning to what she says even if it isn’t obvious at this time. Willow Hale’s performance is great. He appearance is in direct contrast to the way the character is being played. Hale gives her the childlike quality that directly connects her to the younger version (Ava Kolker). It’s nicely done as it makes it clear that they are the same character which informs the viewer of the tragic nature of the character being prevented from actually growing up because her ability leaves her so distanced from reality. She never loses the reliance on others and never manages to make sense of the world. It’s in the background of her character and carries through both time periods. The best thing this episode does is develop the relationship she has with the team and delivers a moving twist at the end. Coulson shows her compassion and gently asks her for information but becomes frustrated when she can’t give him answers that he can understand. It makes sense that he would remove himself from interacting with her because he has a much larger situation to manage and doesn’t have time to decipher cryptic messages about their fates. This is best left to others as he figures out their next move. It’s believed that Daisy will be best placed to get answers that make sense because of her prior relationship with Robin’s father but the conversation doesn’t bring anything useful. Robin keeps talking about telling her mother something which everyone assumes to be her biological mother. Since her biological mother is dead it’s impossible for that conversation to happen so Daisy goes in hoping that she’ll be an acceptable substitute. Once that fails Daisy points out that it’s very difficult to be patient with her but understands that she can’t be forced either. It’s a difficult position to be in and Daisy has to remember to be patient. May is surprisingly the one to get through to her when the time is right. Flashbacks establish that May became a mother figure to Robin when the Earth was destroyed. How this is possible is something I’ll come back to but the broad strokes are that when Robin had nobody else May took responsibility for her and established a close relationship in the process. It makes sense for May to do this as it acts as a form of redemption for killing the young Inhuman girl. That decision comes up frequently as something that defined May more so than anything else in her life and she takes any opportunity to do something that might make up for it. In this case she gets to protect a young Inhuman girl and even though it doesn’t change what happened it clearly offers some catharsis for her. 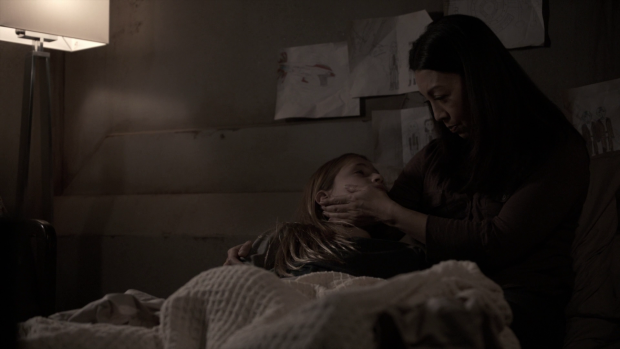 The scene where May cradles the dying Robin is brilliantly handled thanks to Ming-Na Wen’s emotionally rich performance. It’s rare to see May so vulnerable but she clearly finds herself affected by the death of Robin for reasons that aren’t quite explained other than the fact that she’s their only hope to find the necessary information to return to their own time. May shows her compassion and works to make her feel safe in her final moments which comes across as really moving on its own. Cutting back and forth to May cradling Robin’s younger self to reassure her before going to sleep adds so much heft to this moment and shows how deep the relationship is for Robin. It’s also a great reveal of the mother that Robin is talking about paying off the fact that May was always supporting her during the flashback scenes. The plot moves on thanks to this exchange as well with May having the information she needs. This is a loaded episode for May in general. She is feeling marginalised by the fact that she is no use in their current circumstances as she is too injured to fight and is unable to fly anything since there is nothing to fly. Being surrounded by scientists and others with more defined roles she is feeling useless which is another hint at a potential role change for her as started last week. Coulson is there to reassure her and points out that he needs her to just be there and support him so that offers her some comfort but the issue is still lingering. I’ve mentioned that the older Robin connects to the younger Robin by the childlike quality belonging to both versions. 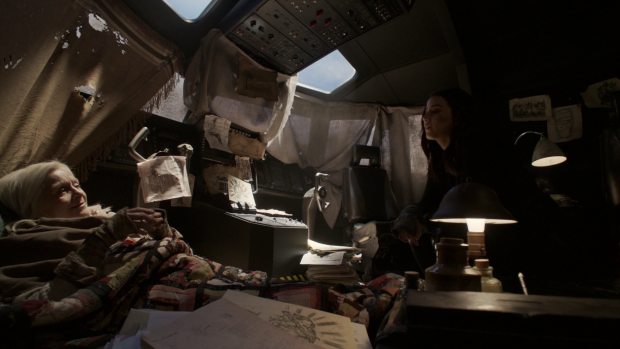 The narrative of this episode takes place in both the current time period for the characters and flashbacks that depict the aftermath of the end of the world. The episode does a great job connecting these by having young Robin’s predictions pay off in her older counterparts present. For me the best example was her warning Daisy that Voss (Michael McGrady) has a knife immediately before showing him try to kill Daisy. This is clever plotting as it shows both time periods are important in some way while making the story flow really well. The unfortunate thing is that these flashbacks are far too quick. Years are skipped between them and there’s no real sense of the shift in character relationships or what led to the events being talked about. This makes it all feel very clumsy and comes across as a quick tick box exercise to dump the necessary information before moving onto the next thing. It’s a shame as the flashbacks bring with them a lot to be explored. The first thing is the question of what is actually going on here. Is this supposed to be the original timeline where the team were never brought into the future? If that’s the case then how was it possible for them to be brought to the future in the first place? Surely their lack of presence would change the future completely. This show has yet to establish their approach to time travel which means that this could all be answered in an upcoming episode but for now it’s really confusing. Another possibility is that the flashbacks we’re seeing take place after these events relative to the experiences of the team. This is certainly backed up by flashback Fitz angrily talking about being stuck in an endless loop. If that’s the case then why doesn’t May know the information given to her by old Robin that can save the planet? Of course it’s possible that it doesn’t work and Earth is destroyed which would still allow May’s reassuring maternal conversation with Robin about saving the information for the right version of her. It does no good to lie to Robin at that point so the situation can be read two ways. My prediction is that there are branching timelines that somehow allow two versions of the team to exist with the possibility of everything being overwritten when they return to the present to fix things. So far it’s poorly explained but these may be questions lingering for upcoming episodes so it isn’t a flaw with this one as such. There are more unanswered questions in the flashbacks surrounding some of the characters being nowhere to be seen. 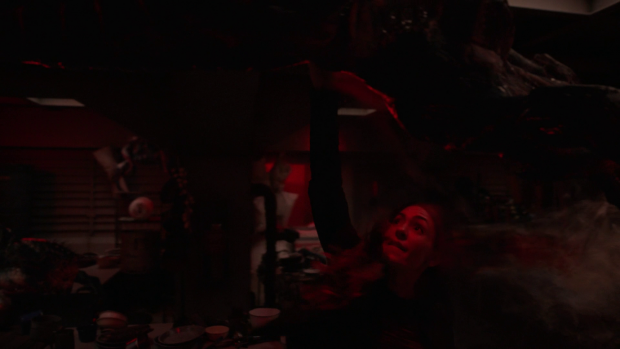 Daisy is believed dead after destroying the Earth so that answer seems reasonable enough but Coulson and Mack are nowhere to be seen with the only clue being Elena completely losing hope because Mack is gone. This may have happened in the alternate timeline I theorised or it’s possible he dies before going back in time. Coulson’s absence feels oddly mishandled considering there are no clues either way. Fitz also talks about Robin constantly predicting Simmons’ death so that will need to be addressed as well. There are other things that are glossed over such as making a deal with the Kree -presumably- to secure the survival of Humanity without going into any detail beyond the fact that it’s happening. In many ways it feels haphazard and very rushed. Outside of the rapid plot movement this episode boasts some really good characterisation for Deke. His encounter with Voss seems like a happy reunion at first until he learns about the piece of the Monolith being in his possession. He knows that isn’t something his father would ever part with so is immediately suspicious of Voss’ intentions while processing the fact that someone he though he was close to might have killed his father. Jeff Ward plays the emotional gut punch well and makes Deke come across as someone deeply affected by a loss that has been sprung on him. He has to deal with the lack of closure to his relationship with his father and he really struggles to do so. The focus on this suggests that the identity of his father will become important which leads me to wonder if it’s someone we as the audience know. It could turn out that he’s Hunter and Bobbi’s child or at least a descendent of them though that would be a little too convenient. Daisy is the one to offer him an opportunity to process this loss by telling him that she had a similar relationship with her father but in the end it worked out fine. She skips over the part about what it took to get there and the end result of erasing his memory because that isn’t what he needs to hear. She recognises that he needs reassurance and reaches out to him in his moment of vulnerability. Scenes like that greatly improve Deke as a character and I suspect there is more to come on this. Back on the Lighthouse Mack and Elena are working with Flint to make sure the Humans are safe. It’s only a matter of time before Kasius tries to take his anger out on the Human population and wastes no time in doing so by redirecting the Roaches to the populated levels. This story involves a lot of mechanical plotting to deal with the Roach problem and free the Humans from the devices attached to them. It all amounts to be really entertaining as well as being a great showcase for Mack and Elena as well as their growing bond with Flint who bounces off them really well. 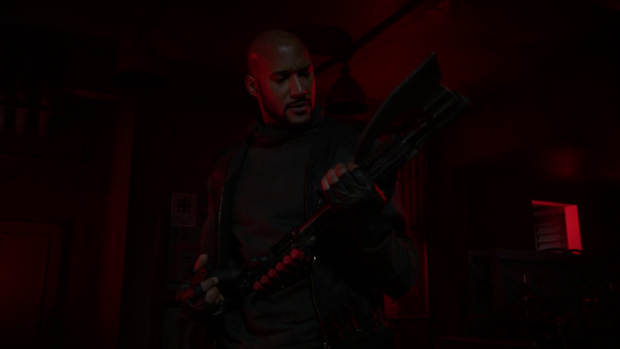 The return of the Shotgun-Axe is very much a crowd pleasing moment that results in a hilarious exchange between Mack and Flint over how good an idea it is. These scenes also show how clever Mack is as he comes up with a plan to deal with the Roach problem using the resources he has at his disposal. Once again these scenes raise the question over whether this is worth it or not since it will likely be changed by the inevitable change in the timeline but this is sidestepped by focusing on Flint and how important this is to him. Flint is also being set up as someone who is necessary to unite the pieces of the Monolith and send the team back home so since protecting the Humans on the Lighthouse is important to Flint it’s important to us. Mack is also committed to helping those who need it and doesn’t consider the bigger picture when it means he can do some good for someone. Keeping everything grounded in the characters is this show’s greatest strength which makes things that will be reset very important. A compelling if confusing episode that does a great job with the characterisation. The two versions of Robin anchor the story with their similarities as well as the predictions of the future paying off seconds later to connect the two timelines. Interacting with Robin says a lot about the characters down to their frustrations when she fails to make sense and delivers an excellent showcase for May who has a maternal connection with her. The flashbacks are very quick and handled without much time to process the information or the relationships but they do enough to ask some important questions despite how confusing they are. 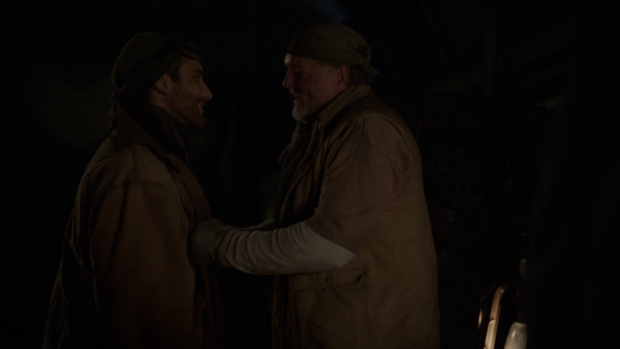 Outside of this Deke gets an opportunity to develop surrounding his relationship with his father which Daisy contributes to in a really effective scene. Mack, Elena and Flint helping the Humans deal with the Roaches on the Lighthouse is really entertaining to watch and constantly grounded in the excellent character interactions which help to set up Flint’s importance in the coming episodes.